Of all the ways to boost your home’s curb appeal when you put it on the market, what could be quicker or less expensive than installing some colorful garden flowers? 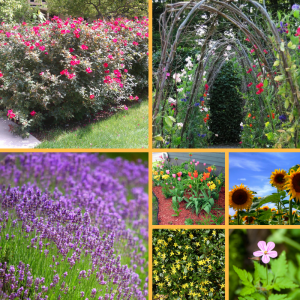 Watters Garden Center conducted a survey to discover which landscape brush-ups and flowers are most appealing to house hunters. 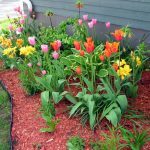 In addition to trimming your trees and shrubs and freshening up your mulch, consider adding value to your home by adding one or more of these flowers to your perennial beds or front porch containers. They add color and fragrance, and can wow potential buyers. The plants can add thousands of dollars to the selling price of your home. 1. Roses – These consistently have a universal appeal to homebuyers, even those that aren’t into gardening. Although old-fashioned and heirloom roses look stunning with their cabbage-sized blooms and sweet perfume, the installation of a few modern ever-blooming roses is a smart choice when preparing to sell a home. Roses like Easy Elegance series, Knock Out, and Flower Carpets give sellers the most reliable re-bloom. 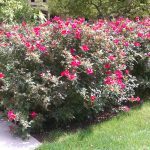 These roses are also nearly disease-proof, meaning you won’t have to worry about an unsightly mildew breakout blighting the landscape. If you don’t have time to deal with perennial roses, plant a few containers of annual Portulaca Grandiflora, aka moss roses. This annual bloomer shows off during the hottest, driest months of the year, and its succulent foliage shrugs off pests and diseases. 2. 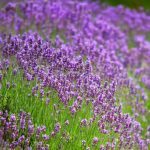 Lavender – Not all of us are lucky enough to live in Provence, but we can import the lavender plants famous in the south of France. Not only will lavender flowers woo home shoppers with their glorious scent, but you can also tell admirers that the blossoms are edible. Lavender needs little else besides full sun and well-drained soil to grow. If your plot is damp or slightly shady, pansies will provide the same purple hue and culinary value as lavenders. 3. Fuchsia – The pendulous blooms of fuchsia flowers are sure to grab the attention of potential home buyers. Fuchsias like moderate temperatures, moist soil, and an area sheltered from the wind. Without these conditions, the plants are prone to bud drop. If you aren’t sure about maintaining these divas during your home’s listing period, substitute a trailing begonia plant in a hanging basket. Dragon wing begonias don’t mind hot spells, and their succulent foliage won’t wilt if you miss a day or two of irrigation. in the fall before you put your house on the market. Although tulips are a spring-blooming flower, the season can be stretched over a period of several weeks by planting a selection of early, mid, and late blooming tulips. A sample of a long-blooming tulip planting includes early species tulips, midseason triumph tulips, and late-blooming parrot tulips. 5. 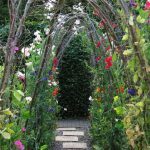 Sweet Peas – In today’s world of odorless hybrids, the fragrance of sweet peas can bring back nostalgic feelings of grandma’s garden. Might these feelings translate into a potential offer on your home? Maybe two? It’s worth risking the low price of a packet of seeds. If you’re past the cool spring weather that sweet peas crave, substitute fast-growing nasturtiums for summer listing periods. that can survive temperatures of 40 below zero. 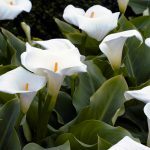 Early summer blooming Asiatics are the hardiest, and even survive in Alaska, while late blooming Oriental-trumpet hybrids require less chilling time to form blooms, and will thrive in zone 9. In the desert conditions of the U.S. mountain Southwest, substitute with carefree daylilies, which don’t mind the relentless heat and drought. 7. 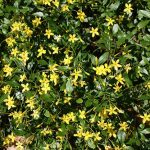 Jasmine – The common jasmine we love for its sweet perfume is not a frost-hardy plant, but an Arabian jasmine plant will flower throughout the summer in a partly sunny spot. Grow the vine in a large pot that you can move indoors for showings, and the flowers will emit a soft perfume in your home. For a hardier specimen, plant the look-a-like Sweet Autumn Clematis, which has similar-looking fragrant flowers. 8. Pelargoniums – Also known as geraniums, this favorite bedding plant is a natural choice to brighten borders, porches, and pool areas. 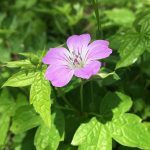 A full sun exposure with good air circulation is a must for these annuals, so if your lot is shady substitute with the perennial Cranesbill Geranium. 9. 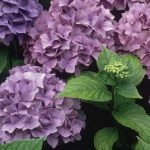 Hydrangeas – Plant a compact type like ‘Bombshell’ by your front door, or anchor the corner of your landscape with the large shrub, ‘Grandiflora.’ Blue varieties need acidic soil to produce blue flowers, so keep some aluminum sulfate on hand if your hydrangea flowers are pinker than you’d like. 10. Sunflowers – A sunflower patch ties together a cottage garden the way few other flowers can. In addition to making a robust floral statement from a distance, you can use sunflowers to screen an unattractive utility box or air conditioning unit. Sunflowers grow in all climates, but they need time to mature if starting from seed. There you have the ‘Top 10’ bloomers that potential homeowners say enhance the image when shopping for a home. A splash of color with a touch of fragrance before listing undoubtedly can result in more green in your wallet. Tired of looking at that brown, barren hill behind your home? Soften that sharp-edged rocky look with these easy-to-grow alternatives to a grass lawn. These fast-growing plants stay low, tight, and withstand summer heat with minimal care. A few plants go a long way when students know which plants to use locally. 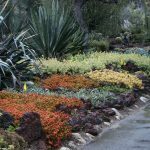 Learn which shrubs, herbs, and vines will soften all that rock, keep soil from eroding, and all while presenting an attractive landscape. Gardening for Newcomers – September 1st 9:30 – 11:00 a.m.
New to northern Arizona or just new to gardening? This class is Gardening 101 for everyone hoping to cultivate a green thumb in our area. 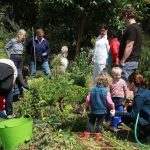 Learn all the mountain secrets to local gardening success from soil preparation and planting to watering and fertilizing. This is an information-packed class guaranteed to increase blooms and fruit this year and reduce frustrating gardening mistakes! Until next issue, I’ll be here at Watters Garden Center helping local gardeners get more enjoyment and value out of their homes. Ken can be found throughout the week at Watters Garden Center, 1815 W. Iron Springs Rd in Prescott, or contacted through his website at WattersGardenCenter.com or FB.com/WattersGardenCenter .